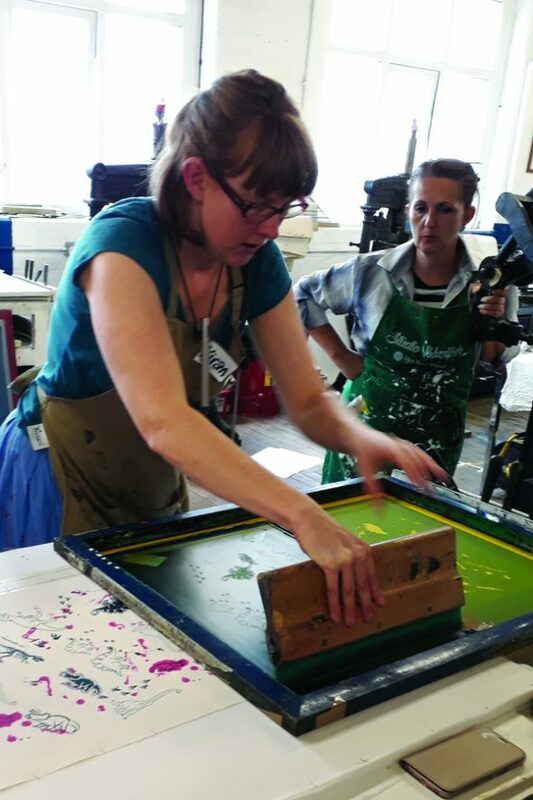 If you have no or little experience in screen printing and want an easy approach to printing onto fabric then this course could be just right for you! Over this fun filled and action packed day you will be guided through the process of making your artwork and exposing it onto a screen, taking these designs and printing them onto fabric. You’ll even be shown how to turn this fabric into a beautiful and useable tea-towel – no need to bring set images as we’ll be getting in the Christmas mood with Christmas inspired designs and ideas, helping you to make a unique fabric print or perhaps even a hand-made gift for someone special. You’ll be assisted by two of our tutors who will show you how to get the best results possible when printing onto fabric, as well as coating and exposing screens and quickly creating simple yet effective designs to print. There will be the opportunity to mask areas and print in different colours building up skills which you’ll be able to use time and time again.